A challenge for any region is matching the location of where residents live and where jobs are located. On the one hand, residents typically prefer not to be too close to industrial or commercial sites. On the other hand, residents typically do not want to be too far from jobs, as this implies longer commute times. And longer commutes overall aggregate to an overtaxing of the transportation system. 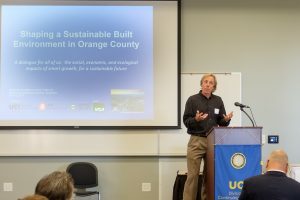 Thus, the “balance” between the location of jobs and housing is of considerable interest to policy makers and scholars. In this Report, we study the relationship between the location of jobs and the residential location of potential workers. We distinguish between two related concepts. First, jobs-housing ratios capture locations that are particularly job-rich versus locations that are job deserts. Second, jobs-housing imbalance captures locations that have a big difference between the number of jobs and workers. 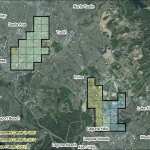 Explore this report using our web mapping application. Or, you can download the full report here. 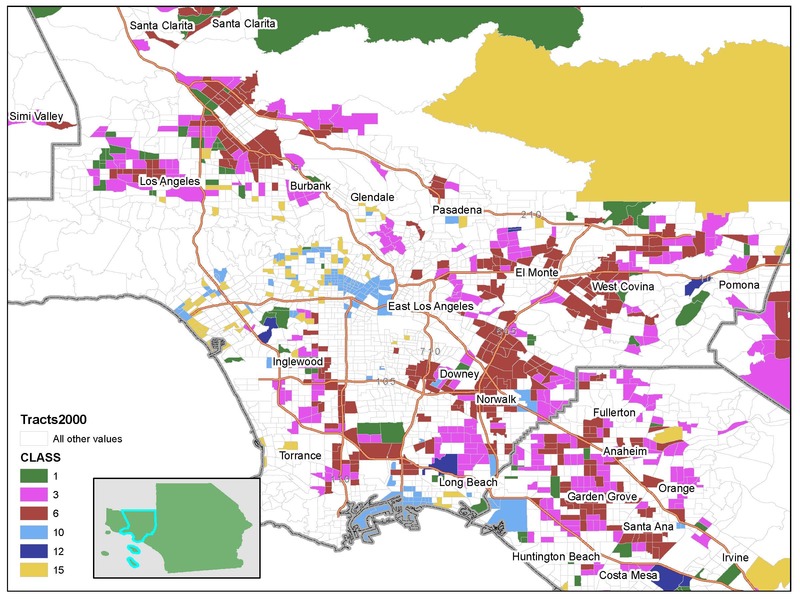 A component of the MFI research team’s work on employment concentration in Southern California has recently been published in the journal Urban Studies. 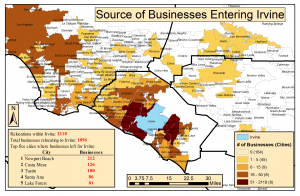 Authors Kevin Kane, John Hipp, and Jae Hong Kim use high-resolution data and spatial statistical techniques to illustrate that numerous changes lie beneath the surface of employment center evolution in Los Angeles from 1997-2014. 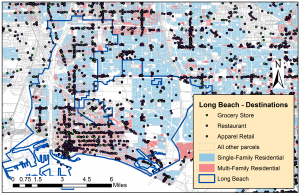 A web mapping application and video describe this broader research project, and can be found here: https://mfi.soceco.uci.edu/category/quarterly-report/detecting-job-density-over-time/. 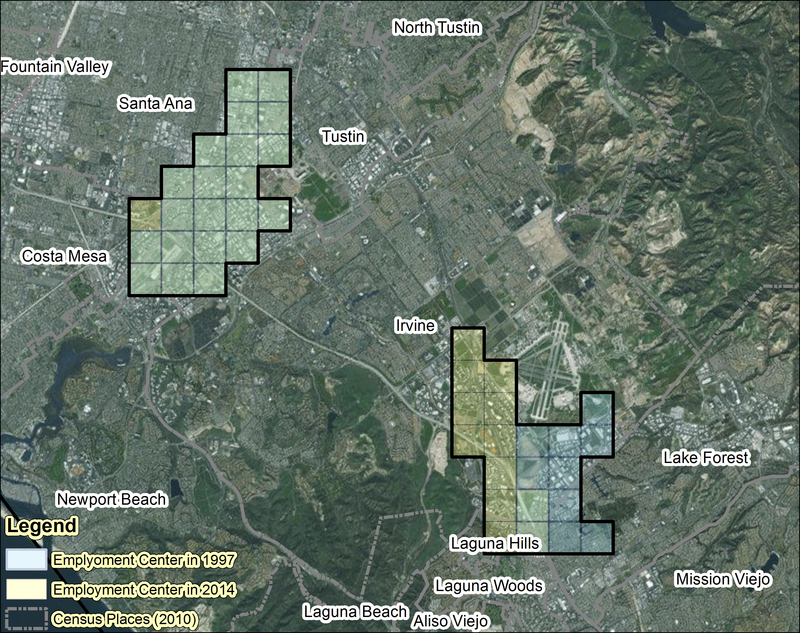 We typically think of neighborhoods as fairly homogeneous areas within cities. 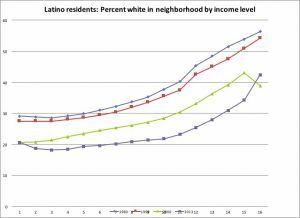 Nonetheless, some neighborhoods are highly mixed and others are not based on things like income, racial composition, age, land use, and the type of housing they contain. 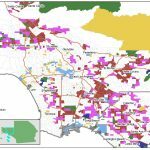 We analyze mixing across these dimensions in Southern California, then ask what are the consequences of mixing for economic dynamism in neighborhoods. Explore this report using our web mapping application, or download the full report here.